Last week, the Howell’s walked us through how they run their business with RVshare. They shared how RVshare has provided them the opportunity to run a family business, and the benefits that come along with it. Here, they dive deeper into using the RVshare platform and offer some advice to renters. Can you talk about listing, booking and communicating through RVshare’s platform? Charlotte: You start by signing your trailers up, explain what they are, how big they are and how many they sleep. It’s very easy to follow. You just follow the fields as to what to enter. And after you do that, you put pricing in and any extras you might have that you want to charge — like we deliver a lot of our trailers, so that’s an extra charge. Then you take pictures of your trailers so that people can see it. From there, we started getting bookings immediately, just from that. I mean, it was just amazing. So, we have three of them listed now. Usually I get a message through an RVshare email from someone who is looking for a trailer. They’ll — hopefully — explain where they’re going, and I require them to tell me where they are going and whether they want delivery. We’ll evolve to a phone call, so that we can talk more about what their needs are and what I can provide. Once they decide to book, if they decide to book, they would do that through the platform. And once that’s done, the money and all of the administrative parts with the money is all done by RVshare, which makes it great. As the owner, I don’t have to do anything other than just communicate with the people and provide the service; [RVshare] does everything else. What is your role with the business, Clint? Clint: Depends on where it’s going to be and how long, but I have done deliveries where I do the complete set up. I’m instructing customers how to operate the systems; how to contact us if they have any problem; how to run the water lines; how to make sure everything’s operational. The interactions have been fun. What about communicating with RVshare, what’s that like? Charlotte: RVshare is very prompt with answering my questions; they resolved pretty much all of them and it’s just really good; they’re right there to help you out. 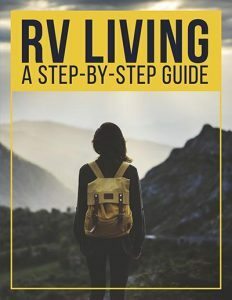 What advice would you offer someone who is interested but hesitant to list their RV on RVshare? Charlotte: Well if someone is deciding to rent out their trailer, I would say use RVshare and don’t try to do it on your own. RVshare handles so much of everything … everything is done. It’s just black and white, right there — what the payments are, how to make the payments, what to do. So if someone is wanting to rent out, going through RVshare is the way to go. As far as renting an RV out, the people are great. I just think campers [have] a camaraderie; they’re not going to tear up our trailer. People take care of them. I mean I’ve had the experience that people, for the most part, take care of your trailers and respect them, which was a fear of mine. Are people going to take care? How much damage is there going to be? But there hasn’t been; it’s been very good, a really good experience. Clint: If I were to give advice to owners who wanted to rent their trailers through RVshare, I would tell them to pay attention to the bids. Make sure you get all your questions answered before — you know, get locations, timeframes, everything you can electronically, so that it makes the actual delivery a lot smoother. So you don’t have questions about, where do I pick it up or when do I pick it up. All that stuff is nailed down in the platform of RVshare. What advice would you offer renters? Charlotte: I would just say to renters, be careful with the little things. Like if it turns, twists, pulls, pushes, opens, closes and it doesn’t want to do that, it’s not working properly. You know, you should stop and don’t force it. That’s what I’m finding the damage is — things like that where people force things and break off knobs or break little off and on switches and things like that. So that’s about the worst of that to my experience. Clint: When we deliver our trailers to a customer’s site, most of the time it’s a direct interaction, and you spend 10, 15, 20 minutes, however long it takes, to walk the customer through all the systems of operation. How thorough you are leads to how many questions a customer has obviously. But I don’t have a lot of issues when I’m instructing the clients, because I go into great depth and detail. For the most part, everybody seems to be very understanding. They’re looking forward to it. A lot of them are amazed how easy it is. “All I have to do is make a phone call or an email and you guys bring me a trailer and set it up, and it’s operational? And then you come back and get it when I’m done with it?” It’s amazing. 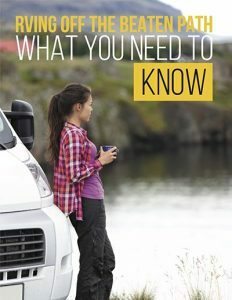 Have you dealt with RVshare regarding damages and insurance? Charlotte: Since I’ve rented my trailers, I’ve had pretty good experience with minor damage. There have been some situations that have had to have been dealt with, and the renters were very amenable to it.